A complicated issue in Uber accidents is deciding who’s responsible monetarily for the injuries. Is the taxi’s driver responsible? Or would the company of the driver be liable? Would the driver’s insurance be responsible to pay, or would it be that of the company? What if the Uber/Lyft driver was not on the clock when the accident happened? But what would happen if you were in an accident and it was your own driver’s fault? Who would then be responsible for paying? Drivers use their own vehicles in taxis and rideshares. Therefore, there is a legal obligation for drivers to have insurance for the legal limits. If a driver has an accident while not working, their insurance would be the one to cover the cost of damages. However, Uber/Lyft are required to provide insurance to their drivers also. 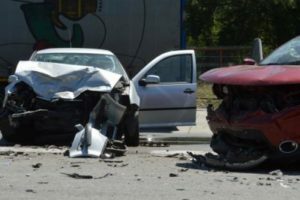 One example would be if a rideshare driver was on the clock and had an accident, the company’s insurance would cover him or her. This is true for taxi drivers too: the insurance coverage would be provided by the taxi company for any injuries occurred while on the job, for both the driver and passengers.